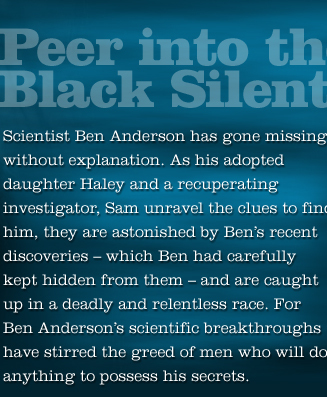 Ben has discovered breathtaking life forms at the bottom of the sea, organisms he calls Arcs. Their extreme energy efficiency defies imagination, comparable to a race of humans that could survive one year on a slice of pizza. 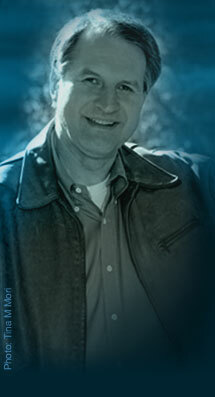 Ben believes that some Arcs live, and continue to reproduce, for millions of years. The implications of Arc biology are mind-blowing. Their undersea byproducts could solve the energy crisis as we know it today for the next 2,000 years. They could also spur a cataclysm, causing mass extinctions and sending humans the way of the dinosaurs. 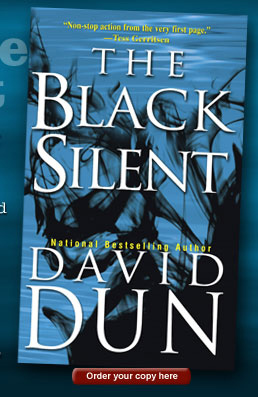 Most shocking of all for readers of The Black Silent, Arcs are real, and these incredible ideas are the tentative but factual conclusions of knowledgeable scientists in numerous articles printed in respected scientific journals. As fact collides with fiction, Sam and Haley’s frantic search for Ben leads them to grapple with these discoveries and those who would own them. Arc-based technology could end life on earth as we know it or make it unthinkably better. The result? A human dream…or nightmare….and everything in between. and Bob Schwartzberg who gave me a much appreciated personal guided tour.